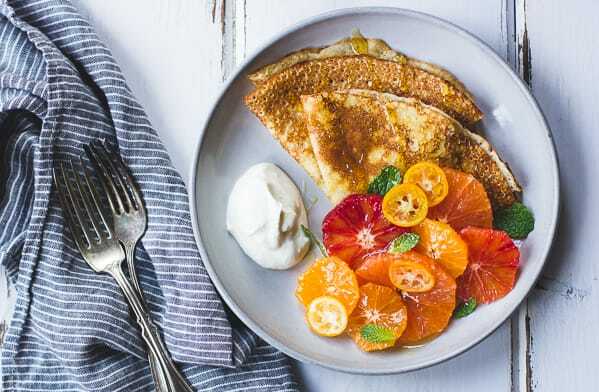 Lacy gluten free crepes studded with ricotta are topped with ricotta whipped cream, rounds of Cara Cara and blood orange, tangerine, and kumquat, all finished with a drizzle of honey and fresh mint. 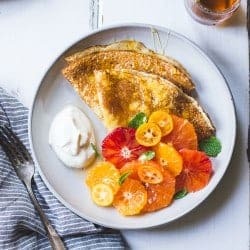 These vibrant gluten free crepes were originally a guest post for my friend Kris over at 80twenty! 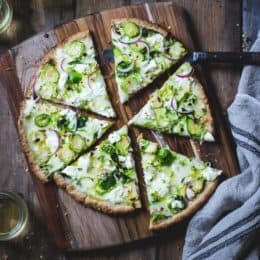 Kris’s site is one of the blogs I most look forward to seeing in my feed each week and her recipes, from soup to bread to drinks never fail to make me swoon. I made a batch of gluten free crèpes to celebrate the French holiday Chandeleur, which embraces the light returning after a long winter. Also known as Crèpe Day, on February second thin pancakes representing the sun are traditionally eaten together with crocks of hard cider. What’s not to love? 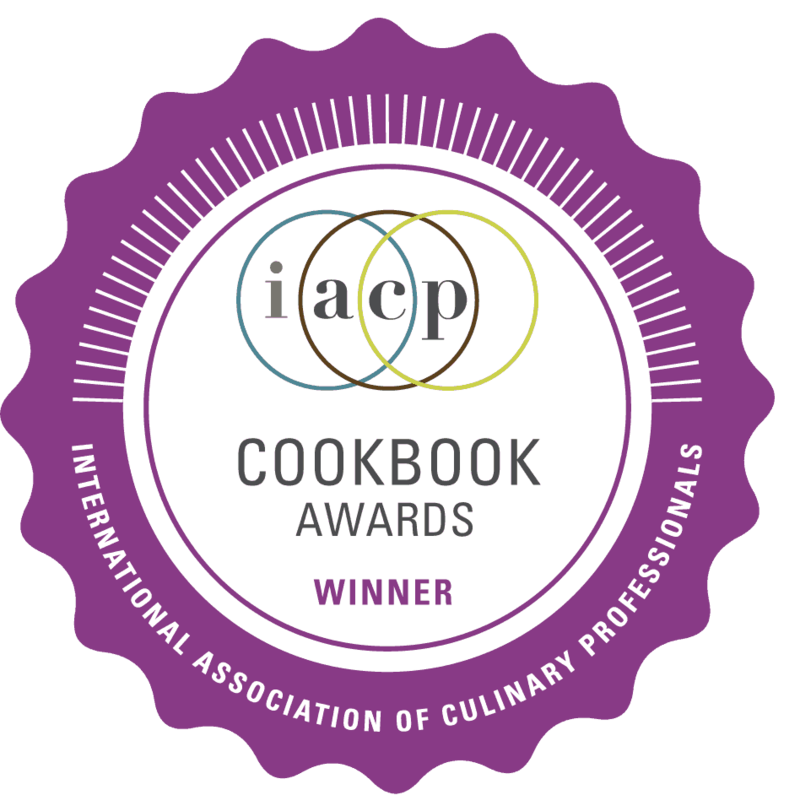 The inspiration for this recipe came from Kim Boyce’s Good to the Grain. 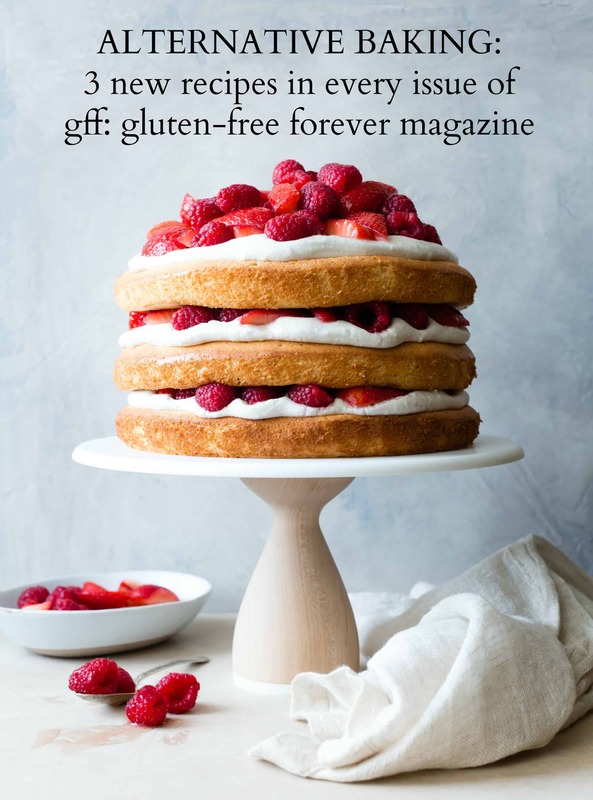 I traded the original gluteny flours for gluten-free ones: equal parts oat flour, millet flour, and sweet rice flour, and it worked brilliantly. 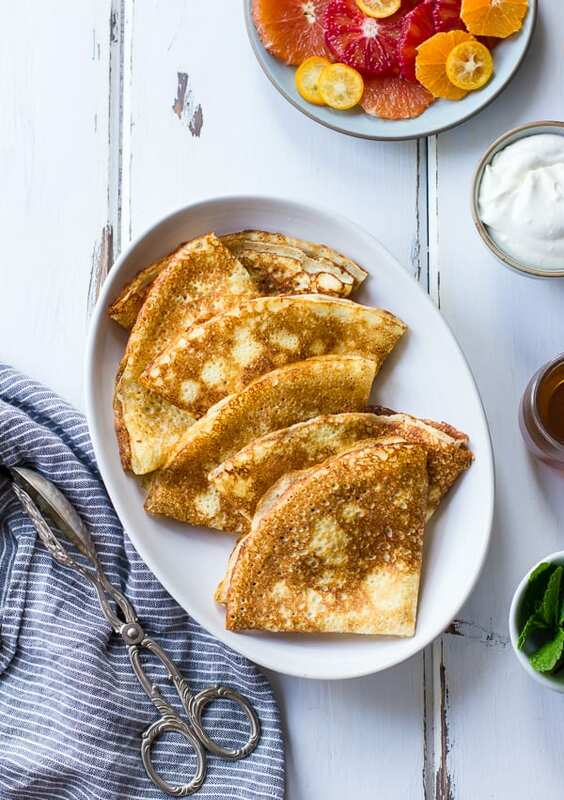 The crepes cook up soft and lacy, studded with curds of ricotta and full of protein. 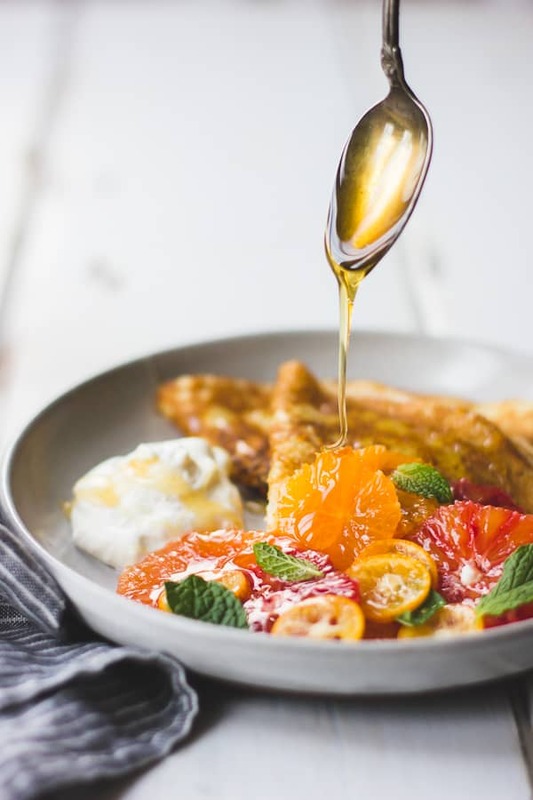 The the pliant gluten free crepes I add sunny rounds of citrus – cara cara and blood oranges, tangerines, and kumquat – a billow of ricotta whipped cream, a drizzle of honey, and a flutter of mint leaves. All together, it makes for a dish that’s as bright visually as it is in flavor. Try these gluten free crepes with berries during the spring, peaches and basil, in the summer, or sautéed pears and thyme in the fall. They’re sure to be a hit for a special brunch. 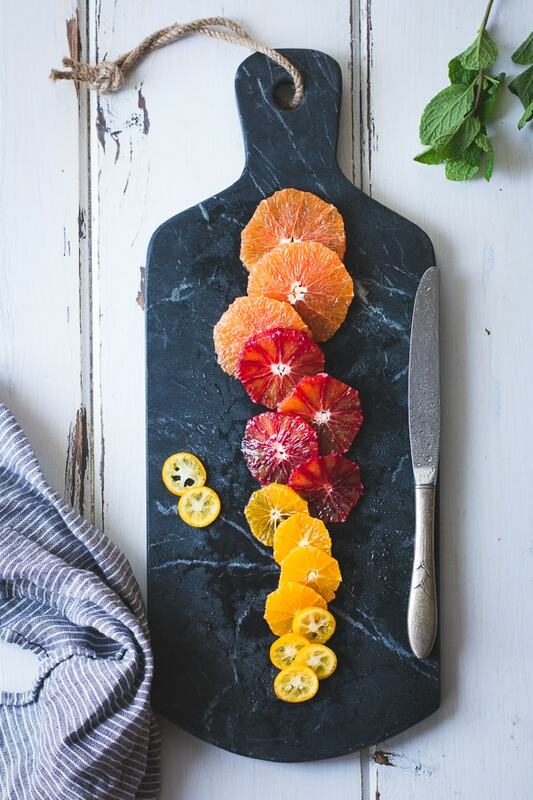 Orbs of citrus satisfy my craving for color during winter months, but no matter the weather, it’s always a good time to get your crèpe on! 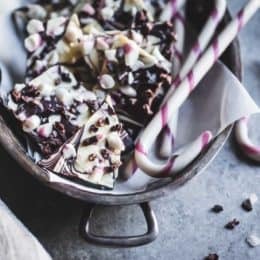 Get the recipe, below, originally published on 80Twenty. 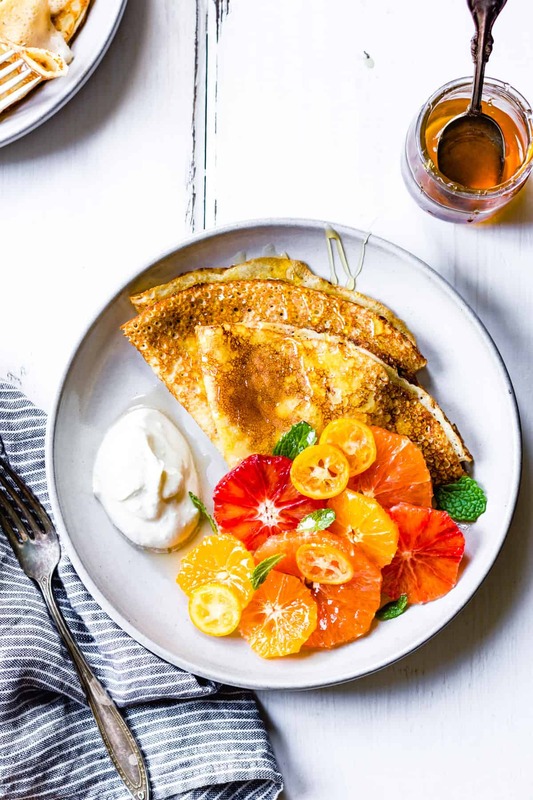 Lacy gluten-free ricotta crèpes are topped with ricotta whipped cream, rounds of winter citrus, torn mint leaves, and a generous drizzle of honey. Heat an 8-inch crèpe pan or skillet over medium heat. 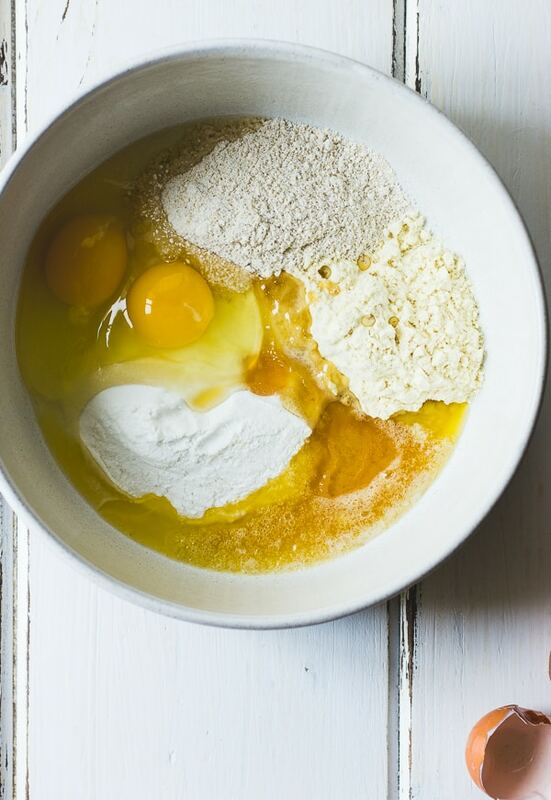 Add a small pat of ghee to the pan and use a scrunched up paper towel to wipe it around the pan; you just want a super-thin layer of ghee to prevent stickage, but not so much that the batter slips and slides all over the place when you swirl it around the pan. When the pan is hot, grasp it in your left hand (if right-handed) and pour 1/3 cup of batter onto the left side of the pan. Quickly tilt the pan to the right, shuffling it to spread the batter evenly into a thin layer that coats the bottom of the pan. Place the pan back on the flame and cook the crèpe on the first side until the edges are golden and the top is fairly dry, about 2 minutes. Slide a thin metal spatula under the crèpe to make sure it hasn’t stuck (I like using a tiny offset spatula), then grasp an edge with both sets of fingers and flip it over. (Or use a wide metal spatula to flip if you haven’t burned off all your fingerprints yet flipping crèpes.) Cook the crepe briefly on the second side until cooked through, about 1 minute. Fold the crèpe into quarters and slide it onto a large, covered plate to keep it warm. As you work, adjust the heat under the pan as needed. You want enough heat to give the crèpes a lacy look, but not so much that the pan smokes or the batter goes crazy when you pour it into the pan. Cook the remaining crèpes, repeating the ghee-spreading, batter-shuffling, finger-burning process. It will take a good half hour to get them all cooked. In the bowl of a stand mixer fitted with the whip attachment, combine the heavy cream, ricotta, honey, and vanilla. Whip on medium-high until the mixture holds soft peaks. Cover and chill until needed. Rinse and dry the fruits. Cut the ends off of an orange. 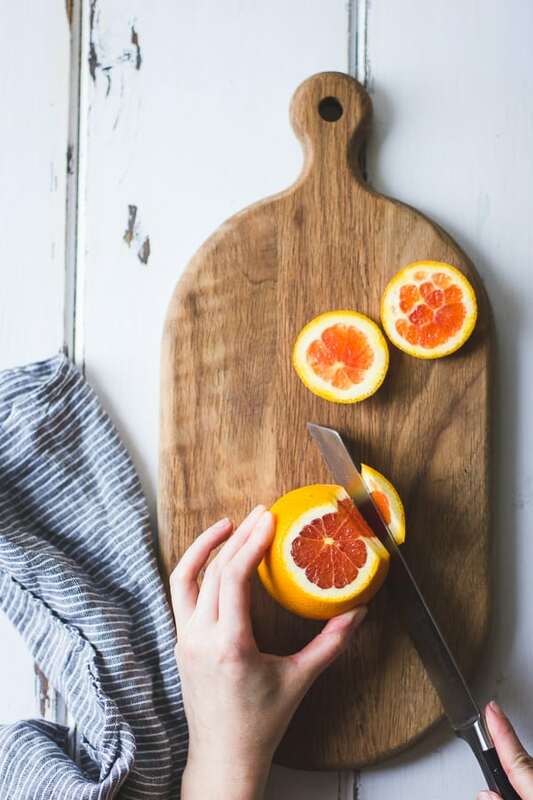 Place the orange cut-side down on a cutting board and use a sharp chef’s or serrated knife to pare away the skin and pith, following the curve of the fruit. Turn the orange on its side and cut into thin rounds, removing any seeds. Repeat with the other oranges and tangerines. Slice the kumquats into thin rounds and remove the seeds. Re-warm the cooked crèpes in the hot pan, and place two on each of four plates. Divide the citrus rounds over the crèpes and top with some pretty, small mint leaves (or tear large ones into pieces). Spoon some ricotta whipped cream to the side of each crèpe and drizzle the whole thing with a bit of honey. Serve immediately. The crèpe batter can be made up to 1 day ahead and chilled. Give it a stir before cooking. Cooked crèpes will also keep, refrigerated airtight, for up to two days. Reheat before serving. 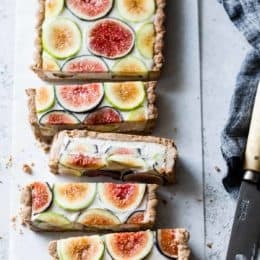 What a fresh & uplifting recipe! 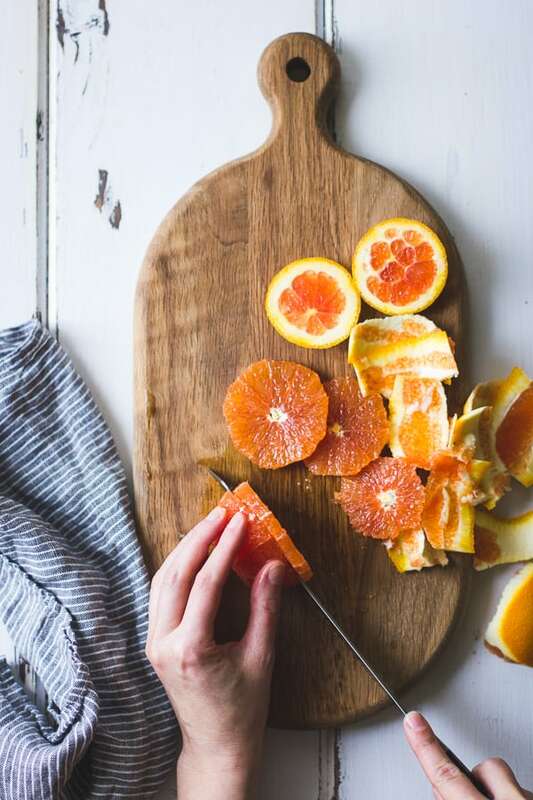 Sunny colors of citrus fruit make me dream of warmer days to come while having lots of snow here in the South of Germany! Wow, I can only imagine. Thanks Sabine! I think "stunning" is the right word to decribe this babes. 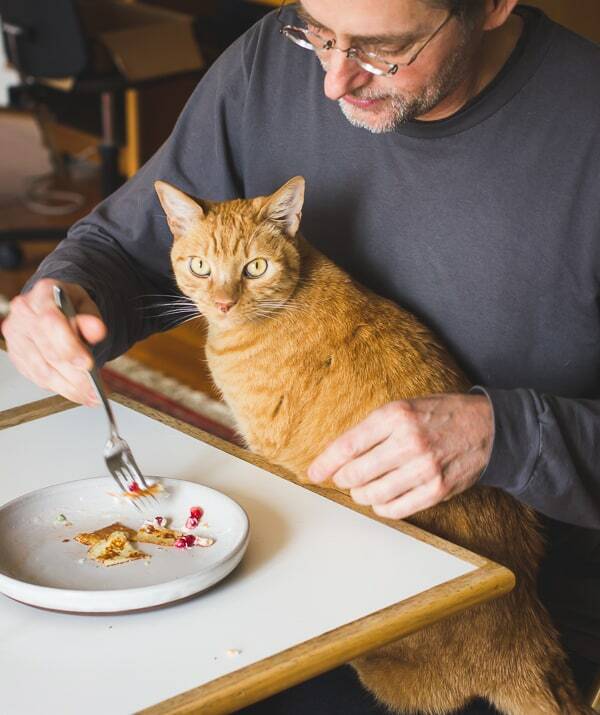 What your cat did say about the crepes? I think it could be the best opinion of all!! PD from the still very hot summer of Buenos Aires (104 F) !!! Stunning as USUAL. I've never heard of ricotta crepes (pancakes and donuts yes, but crepes? genius! ), but the texture looks unbelievable. 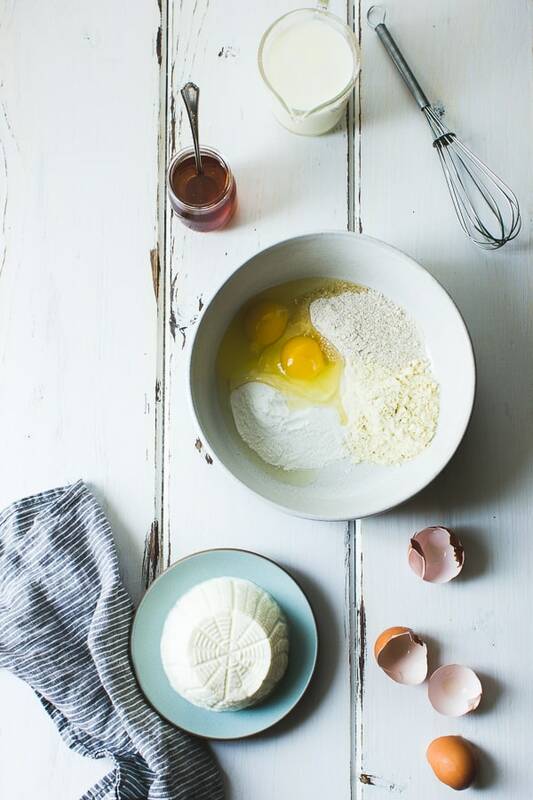 This recipe is amazing and honestly makes me want to go to the kitchen in the middle of the night (if I just had ricotta at home…). I always love your pictures so much, words are not enough to describe it! i'm not even sure i could describe why, but seeing the candid shot at the bottom made my heart swell with joy. these are beautiful. so are you! Awwww! Reading your sweet note made MY heart swell with joy. Thank you!! Thank you for this recipe, and for introducing me to 80twenty. Her food, like yours, is right up my alley! I have fond memories of Sunday mornings when my mom would make us crepes for breakfast. I have been craving them again lately, but could never get the gf flours just right. So, I've been stuck with this "what's worse, mediocre crepes or none at all?" dilemma. Thanks for rescuing me from crepe purgatory! Yes, Kris's site is the best! I've made some sad GF crepes myself, so I'm glad I could help. Lucky you to have gotten crepes for breakfast from your mom! The French really know how to do Holidays! Crepes and cider sounds pretty FAB! 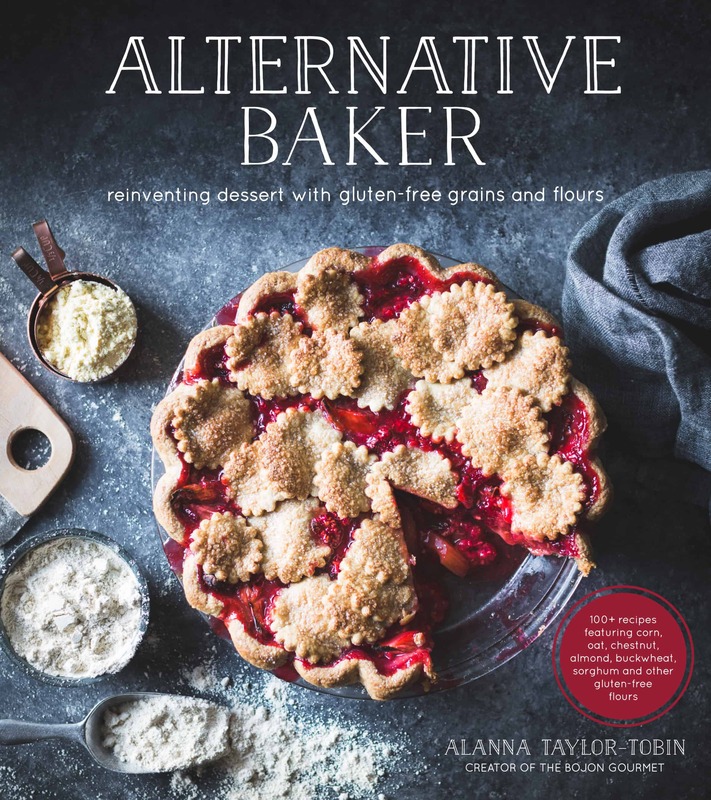 Gorgeous photograph, Alanna! I know, right?? Thanks Liz!! Such a stunning plate of food! All the colours!!! 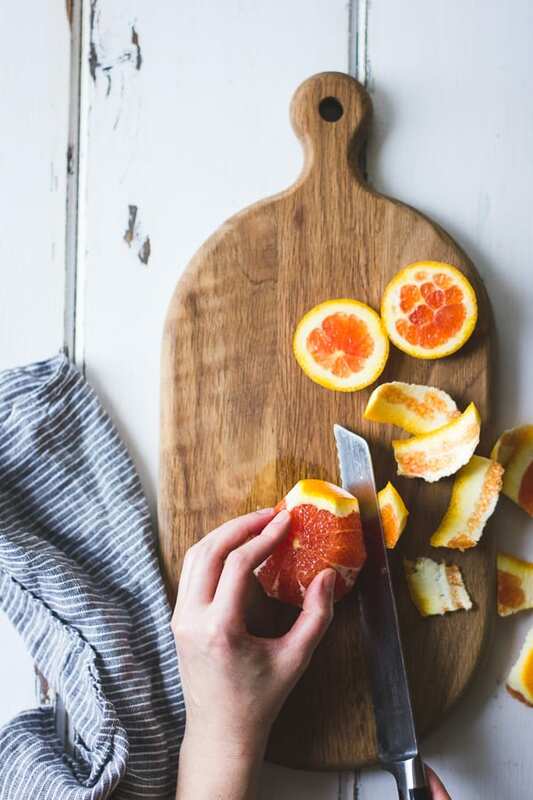 Gotta love bright citrus. Thank you! Whoa.. this is gorgeous! I am totally craving these crepes right now! Amazing photos! The crepes look so delicious! 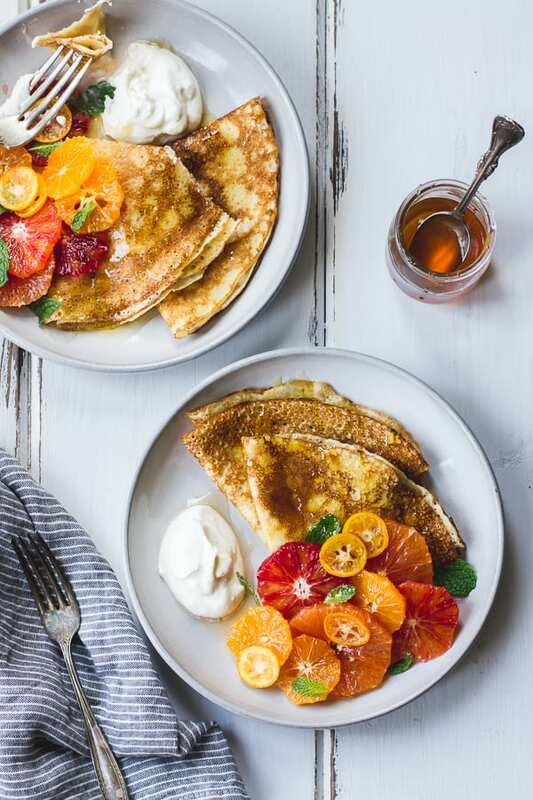 Fresh winter citrus and crepes sounds like such a great combination! Yes please! So gorgeous, Alanna! The mint and honey flavor with the ricotta and all that beautiful citrus sounds heavenly. Lovely, lovely. Just gorgeous, I love the citrus topper! Your photography is so so beautiful. Honey, citrus, and mint with ricotta sounds so yummy! Ha! Mmm that sounds so delicious. Let me know how you like ’em!